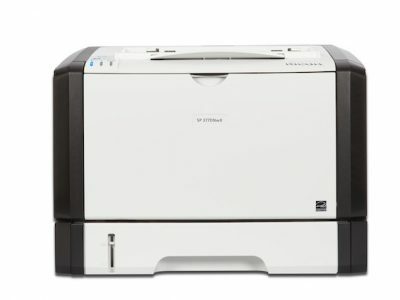 Whether you have a small business or a huge office, we offer a wide range of black and white and color printers with incredible image quality, easy-to-use features and convenient connectivity options, including wireless networking and mobile printing.. Shop our selection of high-quality laser printers, and discover a model that best fits your needs. Expand your reach and your budget with this low-cost, compact printer. 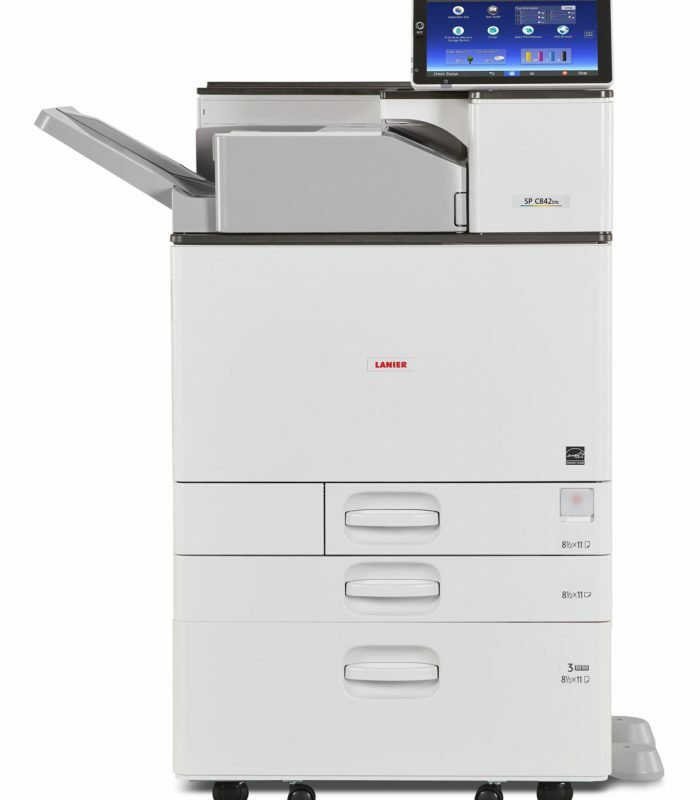 The LANIER SP 330DN Black and White Laser Printer produces crisp black-and-white output with 1200 x 1200 dpi resolution. Place it in small workgroups and run multiple jobs simultaneously with the powerful 350 MHz controller. Expedite workflow with an intuitive 4-line LCD touch panel that includes multiple hard keys. You need the right information on a timely basis to meet your deadlines. minute (ppm) with clear images and sharp text at up to 1200 x 1200 dpi. processed simultaneously via a 360 MHz controller and 128 MB memory. watermarks, combining pages, creating covers and more. Produce a steady stream of output at speeds up to 34 pages per minute (ppm) with fewer delays, hassles and costs. 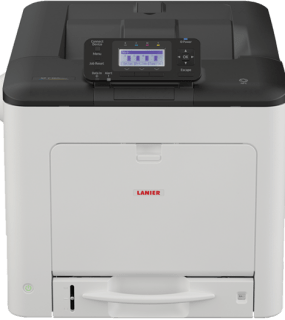 Ideal for small workgroups, the LANIER SP 3710DN Black and White Laser printer offers a high-yield print cartridge to maximize uptime. Manage multiple projects simultaneously with the impressive 350 MHz controller. And jump from task to task with ease via the intuitive keypad on the 4-line LCD panel display. 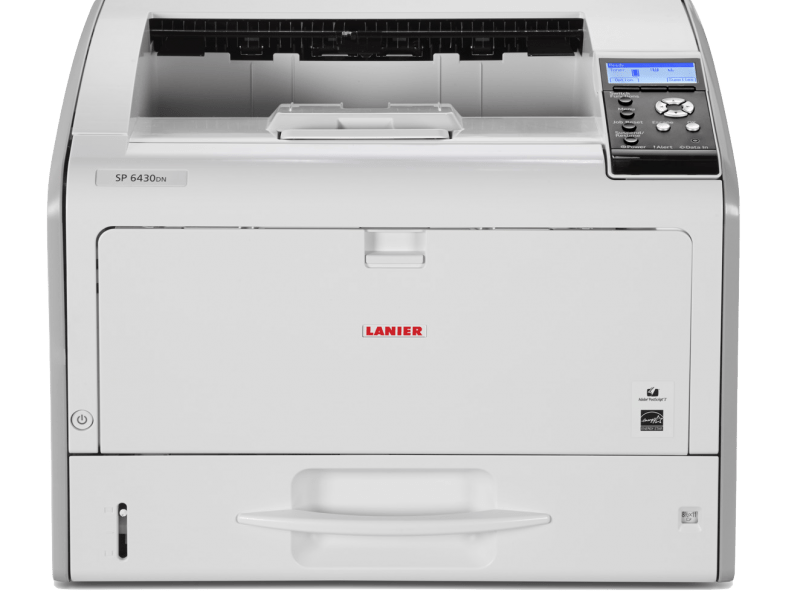 If speed is a priority, the LANIER SP 4510DN/SP 4520DN Black & White Printers features a nimble robust controller and powerful processor to manage more jobs, from more users, simultaneously. Recover from sleep mode in less than 10 seconds. Print up to 42ppm. Expect crisp 1,200 dpi resolution, even at top output speeds. Plus, add additional paper feed units — without expanding your footprint — to increase paper capacity to 1,600 sheets for longer print runs with less effort. so you can share information with your audience when they need it most. Check settings and switch to and from jobs in only moments via the intuitive 4-line LCD control panel and keypad. Add the optional hard disk drive (HDD) to store frequently used documents locally on the device for fast, convenient on demand printing. With resolution up to 1200 x 1200 dpi at rated speed, you can enhance your best messages with razor-sharp images and precise text to impress every time. 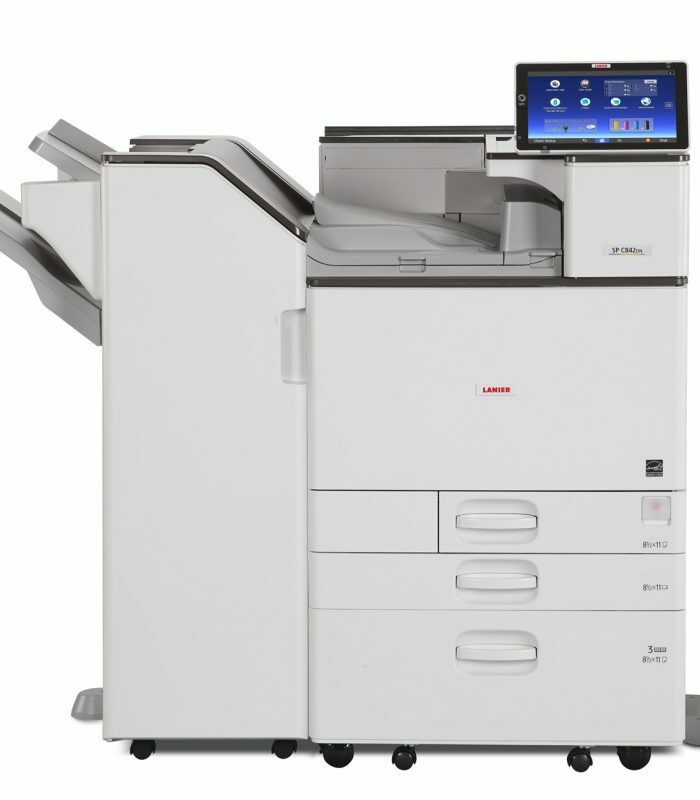 The SP 6430DN A3 B&W printer is designed for workgroup environments and organizations looking to print critical information conveniently and quickly. This compact device can print high-quality black-and-white documents at sizes up to 11″ x 17″, features energy saving options to reduce operating costs and offers advanced security tools to help ensure key data is protected. With a maximum paper capacity of 2,100 sheets you can use this device for everyday office tasks or for special projects that require larger sizes or special paper stocks. Looking for a robust color device with wireless networking for your small business? Look no further than the 21 page-per-minute (ppm) Lanier SP C262DNw Color Printer. This device packs high productivity into a small footprint, with Lanier technology that will deliver years of reliable operation and the superior image quality that your coworkers and customers demand. 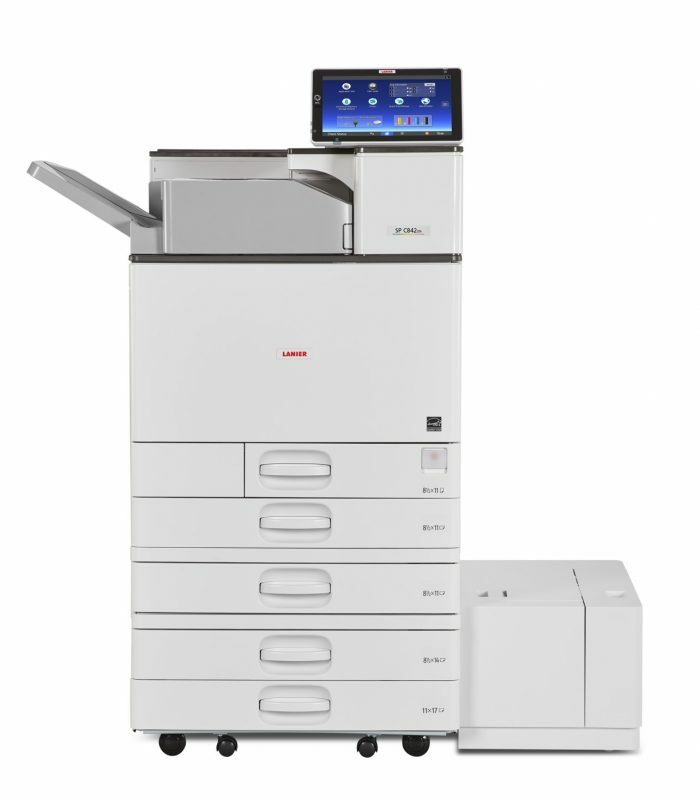 The SP C262DNw prints professional color documents and is compact enough to fit in places where space is limited — including the top of a home-office desk, under a retail shop cash register or on a side desk in a reception area. With ENERGY STAR® certification and EPEAT® Silver* rating, you can reduce energy and resource costs. 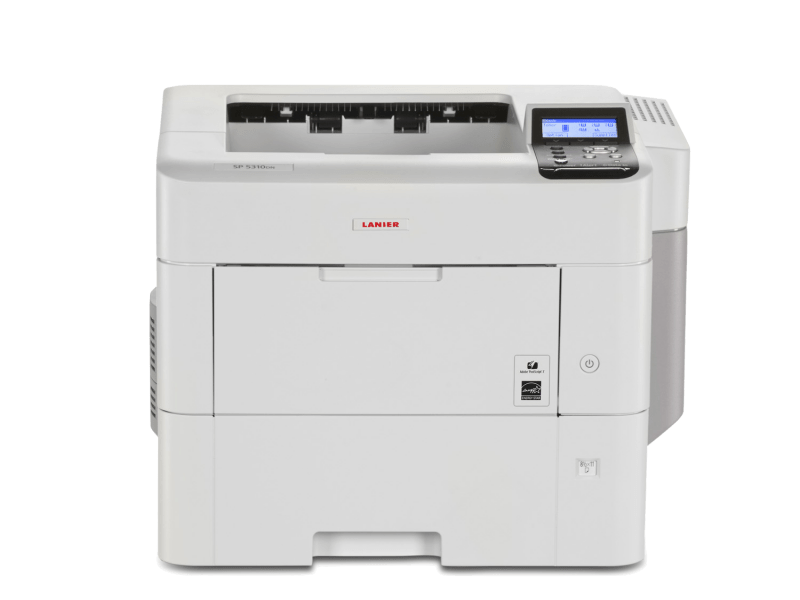 The SP C352DN is ideal for small offices, midsize workgroups and larger corporations looking for an affordable and compact color LED printer. This eco-friendly device comes standard with PostScript3 and PDF Direct Print Emulation, support for mobile printing and a 4.3″ touch-screen panel that lets users make setting adjustments and move from job to job with ease. A host of media options allow staff members to print a wide variety of documents to meet their ongoing needs in sizes up to 8.5″ x 14″. Plus, with a number of software applications available, organizations can streamline print processes and maintain consistency across their current fleet. 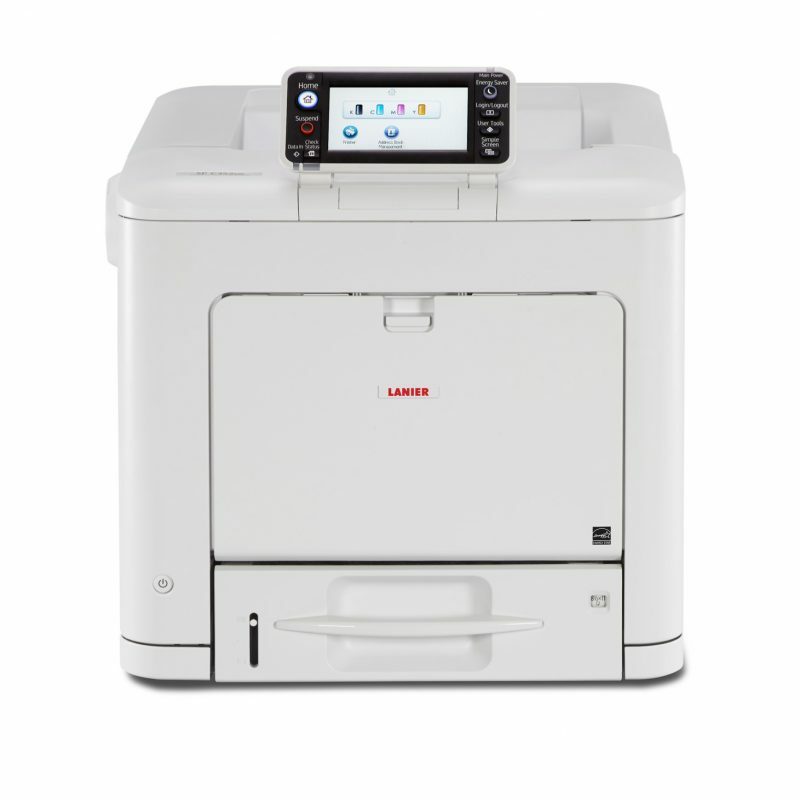 Stay on top of increased workloads with the LANIER SP C360DNw Color LED Printer. 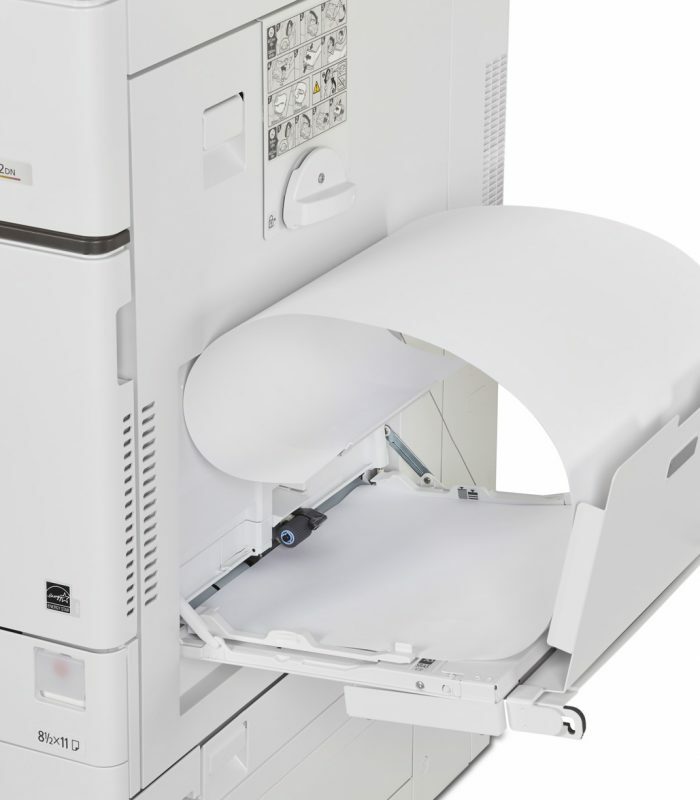 This system comes at an affordable price and produces up to 30 pages per minute (ppm) whether you’re printing color, black and white, single- or double-sided documents. Small offices and work teams of up to four people can easily manage their daily print tasks with this compact desktop printer. Plus, you can reduce your overhead expenses and maximize your budget with a low cost per page (CPP) while delivering high-quality documents with up to 1200 x 1200 dpi resolution to impress customers with professional-quality brochures, presentations and more. LED technology lets you present your ideas clearly with sharp text and graphics. 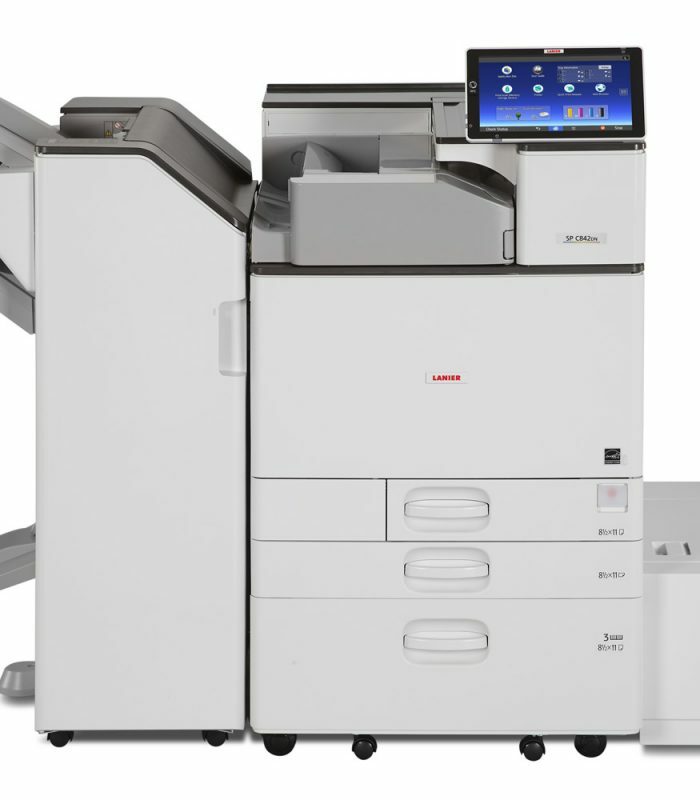 The SP C440DN is ideal for workgroups and offices looking for outstanding, high- quality output. This incredibly low price per page device offers dynamic B&W and color output at up to 1200 x 1200 dpi resolution across a variety of media options. 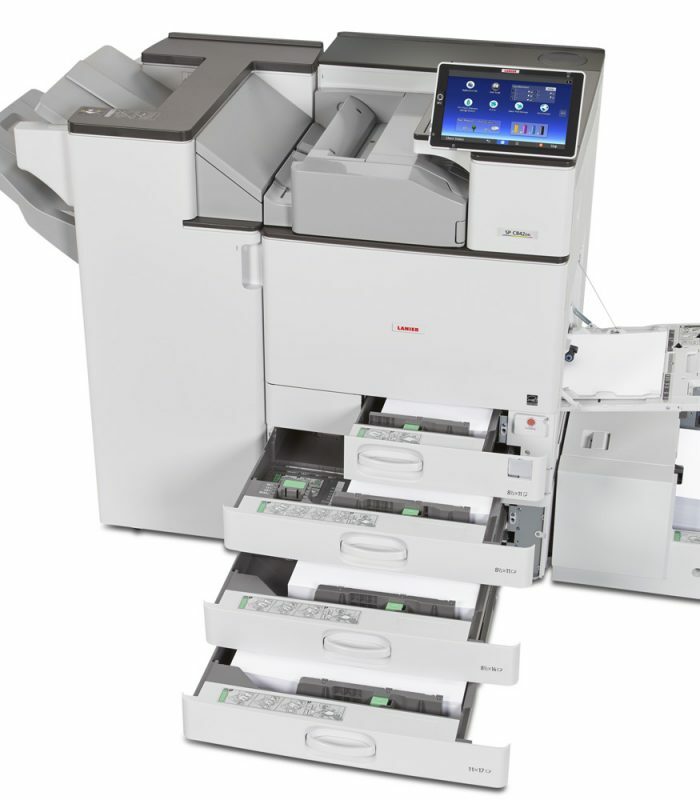 With its fast output speeds of up to 42-ppm, impressive paper handling ability and eco-friendly features, users are ready to impress and deliver important information at a moments notice. Users also benefit from a wide range of security options that will help keep their information protected. on a wider range of media to impress every audience, every time. Use the large, all-digital Smart Operation Panel to customize workflows, set shortcuts and automate print tasks, so you can share information and move on to the next opportunity with ease. Print with convenience and confidence via advanced mobile support and security. Capture a more professional look with advanced finishing options. Add it all up and this powerful, versatile color printer is the ideal light production device for any office or workgroup.